PreHend Kids Giraffe Chair gives children convenient, Lightweight and portable easily provides your baby a safe place to sit in any room of the house. Creative Design: Creative Lovely Giraffe Design for the infants. It helps infants to learn sit up quickly when in it. This soft, cozy Personalized Children's PreHend Kids Giraffe Chair removable head doubles as a hobbyhorse, giraffe toy ... inspiring hours of giddy-up galloping fun! Kids will enjoy the cuddly comfort of the PreHend Kids Giraffe Chair with the adorable giraffe head topping the backrest. Inspires plenty of active, old-fashioned play. HIGH-QUALITY MATERIAL: Imported plush fabric, The bottom is made of non-slip fabric and does not slip on smooth floors. Your children can move their own furniture to any ideal place without much efforts, which cultivates their manipulative ability. 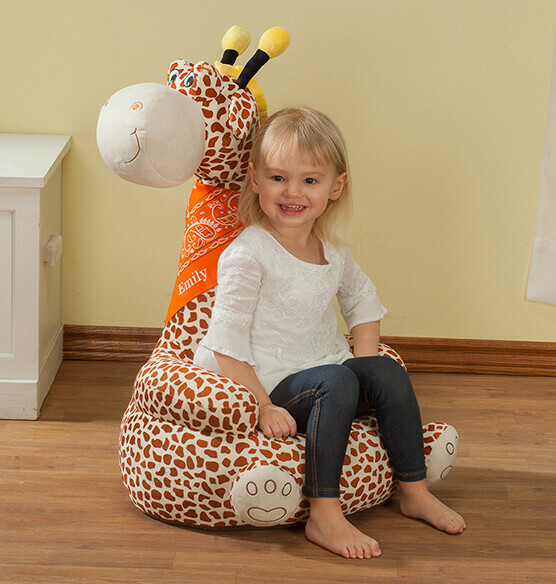 DEGREE OF COMFORT: Super Comfy Chair is Covered in Soft, Durable Fabric with Cozy and adorable, This PreHend Kids Giraffe Chair is the perfect accent piece to decorate your child's room. LIGHTWEIGHT DESIGN: Great Fun for Any Room in the House! Lightweight design for easy movement. Due to High Demand on this Product, Please allow 2-3 weeks for delivery. We provide full tracking of your package and want you to be 100% satisfied with your purchase. At AddPop, we truly offer the most stunning, trending high-quality products in the world. We make sure that every customer is completely satisfied in every aspect with 24/7/365 FAST SUPPORT! Become a AddPop Insider and get 10% off your order today. Plus we'll keep you up-to-date with the latest tech and discounts. © 2019 AddPop. All rights reserved.